Kerbs & Edgings are an essential requirement in all commercial applications for retaining paving and creating paths and boundaries. On a functional level, our products offer hard-wearing capabilities and sustainability over time, and on an aesthetic level, we have some beautiful decorative options that offer various laying orientations. 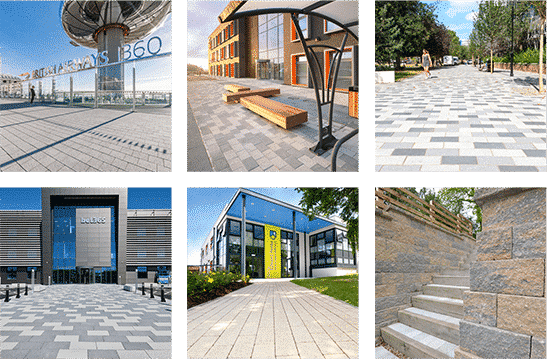 See for yourself some of the incredible installations that professional architects, landscape architects and commercial builders have created on a wide range of projects using our durable, reliable paving and walling products.